The demands of an ever changing world require more and more from you, Pushing you outside your comfort box. It becomes a challenge to find balance and stay focused on a positive journey. It is our passion to help you grow your box to handle new and evolving pressures through inspirational coaching. It is our mission to be your personal coach and create a personalized coaching journey to keep you focused and inspired. Staying on a positive path can be challenging. Learn how the GAP Inspirational Model can help you develop a positive and sustainable outlook on life. Our goal is to help you get joy and purpose out of life. Apply the GAP Inspirational Model to inspire a career that is fulfilling and drives purposeful passion. Learn how to apply the GAP Inspirational Model to achieve work fulfillment. Inspire yourself and others by creating an environment of excellence. From long-term strategy to culture change, The GAP Inspirational Model defines what to implement and when to implement for maximum effectiveness. Do you want to bring the GAP Inspirational Model message to your organization? We offer speaking engagements in large and small formats. Learn how the GAP Inspirational Model helps you achieve your potential by working with others. We also offer team building exercises. It is our mission to bring our coaching expertise to inspire balance in others. 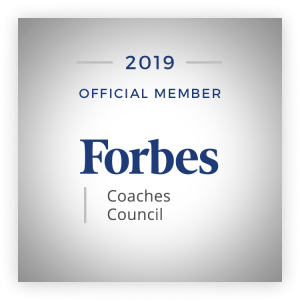 By being part of the Forbes Coaching Council, an invitation-only community for leading business and career coaches, we demonstrate our commitment to excellence and our mission. Our acceptance was vetted by a review committee based on the depth and diversity of our experience. Criteria for acceptance include a track record of successfully impacting business growth metrics, as well as personal and professional achievements and honors. Coaching events are limited in size to provide greater personalization and interaction. Register quickly to secure you spot. But don't worry if you miss your spot another coaching event is right around the corner.